According to an infographic from Microsoft Tag, 51% of smartphone users are more likely to buy from a retailer with a mobile specific web site, however: only 4.8% of retailers have a mobile web site. A recent study by Google, “The Mobile Movement: Understanding Smartphone Users” reports 77% of smartphone users visit search engine websites followed by social networks. And nine out of ten smartphone searches results in an action (purchasing, visiting a business, etc.). Mobile use is growing faster than all of Google’s internal predictions, with YouTube seeing 200 million mobile playbacks a day, according to Eric Schmidt. To capture the market, marketers and advertisers are increasingly allocating budget to mobile. In fact, eMarketer estimates total mobile advertising spending in the US will reach $1.1 billion this year, which is up 48% over 2010. Mobile search is forecasted to account for up to 10 percent of search budgets with Google capturing 97% of that market. How can marketers take advantage of the opportunity with mobile search & optimization? Of course there’s paid search advertising on mobile as there is on the web, but our focus here is on content, social and organic search, so the following tips will emphasize what you can do without advertising. Fundamental SEO Best Practices – Effective site optimization applies for mobile sites as they would for desktop websites. Search engine accessibility, keywords, content and links all matter with mobile. Keep in mind screen real estate is smaller for keyword use in titles and descriptions. As a primer, check out this post from the Google Webmaster Central Blog, Making Websites More Mobile Friendly. Mobile Friendly Website – First, decide if you need a dedicated mobile site or if you will present mobile users with a mobile friendly version of your existing site. If you happen to know that a significant number of your customers use traditional mobile phones, then a dedicated mobile site may be warranted. See the “Mobile Filters in Google Analytics” tip below for info on determining your website’s mobile activity. A custom CSS file can usually accomplish a mobile friendly site for traditional, internet enabled mobile phones or it may be necessary to develop mobile specific pages. Smartphones can view most websites as a desktop browser would, only smaller and may not need such customization. Another consideration is that some features, such as Flash content, will not display on an iPhone. Hopefully HTML5 adoption will address that. While smartphone use is rapidly rising, there are still a very large number of traditional mobile phones in use. A “mobile friendly” site isn’t exactly a SEO tactic, but if people can’t view your site, there’ not much use in it attracting search traffic. That is no longer necessary and website owners can present the appropriate content using the same URL. rel=canonical can be used for desktop content. In all instances, the same content must be served to Googlebot and Googlebot-Mobile as what a user would see. Advantages to a single URL include a single destination for link building and also to facilitate social sharing of pages via mobile phones meant for desktop consumption. Mobile Keywords – When researching keywords, it’s worth considering that mobile search query strings, on average, are 25 percent shorter than desktop searches. As for mobile keyword research tools, Google’s keyword tool provides a mobile filtering option and the stats you see for Competition, Global and Local Monthly Searches, and Local Search Trends are all specific to the device filter you pick. Mobile Formatting and Layout – There are many resources for mobile website development. If you want to test how your mobile friendly website will appear, then Mobile Moxie offers an array of handy tools for testing websites on mobile devices. Tools include: Keyword Research, Mobile HTML Code Grader, Mobile Search Engine Indexing & mSEO, Mobile Website Emulator and Phone Comparison, Mobile Search Engine Simulation and Results Comparison. Mobile Content – In addition to testing the mobile user experience, it’s also important to test the effectiveness of your mobile content. Delivering mobile search traffic to pages is just the beginning with effective mobile marketing. Make sure the content users are interacting with resonates and inspires desired outcomes. Achieving mobile content effectiveness draws on content marketing best practices by knowing customers, their pain points and interests, keywords and social topics. Then apply that insight to your mobile content strategy. There are numerous mobile marketing case studies to draw ideas from to see what’s worked. 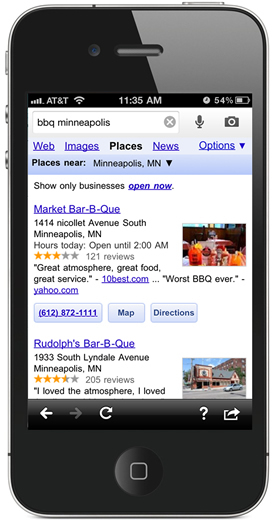 Mobile Site Map – Websites that serve only mobile content can provide Google with an XML sitemap. Non mobile URLs should not be included, but URLs that return both mobile and non-mobile content can be included. However, if you do want to use filters to extract mobile data (arguably to see if you have a mobile audience in the first place) then Google Analytics offers options in both standard and beta. Filters will inform you how much of your organic traffic is coming from mobile, how they interact with your content and if they’re converting. By 2012 mobile searches will account for 25% of global searches (Google Smartphone User Study). Consumer use of smart phones and tablets has skyrocketed and in keeping with best practices for changing customer information discovery, consumption and sharing needs, mobile marketing warrants serious consideration by companies of all sizes, industries and locations. You’ve read my take on determining where to allocate search marketing resources before: If it can be searched, it can be optimized. That certainly means mobile search as much as it does search on the web. The question is, how and when your business will approach mobile marketing and more specifically, mobile SEO? Hi Lee, while not entirely related to mobile SEO, you might want to mention the impact of redirecting mobile browsers to your mobile site. This simple action makes a huge difference and provide a better customer experience for someone browsing from a phone. There are some other good tips in the white paper from MoFuse http://mofuse.com/learning/wp-content/uploads/2011/06/Driving-Traffic-to-your-Mobile-Site-_MoFuse.pdf. Thanks for the heads up Tamara. Not all sites offer unique mobile content or they simply reskin to a more mobile friendly format using CSS. I have to agree with Tamara though, but for different reasons. As a mobile marketing agency, it is VERY common for large companies to engage us to design, build, manage, and host their mobile Web site. 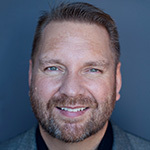 We don’t really play in the “traditional Web,” so these companies find us complementary to their existing interactive firms, which just handle their desktop needs. As such, setting up m.example.com allows our clients to setup a DNS-level CNAME redirection to our servers for their mobile traffic, which makes for a great consumer experience, and provides a solution for a practical business scenario. I certainly agree with you 100% about keeping things on one domain if possible, but the best mobile experience is not yielded with a “catch all” or “one size fits all” approach. Rather, it’s best created using graceful degradation, treating each mobile phone as a unique browser, and optimizing for it programmatically in a much more sophisticated way than simply changing the CSS file. All that said, you have a TON of practical and useful information packed into this article, so again, great job for sure! Lee, I have worked with a website developing company on a project I am currently involved in. One of our concerns was the use of Flash on our home page. Having the usage of iPhone users in mind. After talking with the company, it was explained that HTML5 will be able to handle the functions of Flash. I believe the technology has finally caught up to the phone’s usage. Agreed, HTML5 could be the answer to iPhone’s disregard for Flash support. Great read. Will definitely keep checking back. Most businesses don’t build their site with mobile users in mind. This will make them change their mind. 51% would like to?I think it seems not many enough,right? As in my point of view,most people choose it for its great function. In this Google world people now usually use mobile phones for browsing so it is utterly important for all the business managers and the web designer to cater the mobile users now if they want to succeed. This is good info to know. 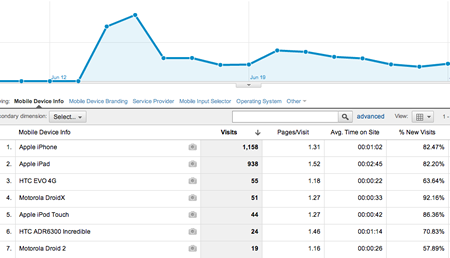 The mobile user statistics looking for websites are interesting. I have just installed a mobile plugin on my site. Thanks for adding this conversation. Smart phones are literally changing the face of internet and connectivity nowadays is all about mobility.In developing countries like India,Smart phones are selling by leaps as bounds as compared earlier when muzic and camera phones r termed as good deal.I believe in Dynamic novelty and the manner in which cell fones r becoming important part of trade. We really need to get on this, i use my smartphone for everything now, if i left my phone somewhere i would be curled up in a ball with post android stress! So SEO-ing the hell out of thi smedium is a must, i have some work to do! The mobile site is truly improving day by day. All fields of expertise now have transactions via their smart-phones. The SEO having the internet as the platform and if the mobile sites are in the rage so will be the SEO requirements. Thanks for talking about the future of SEO. I would like to know more about which kind of keywords and phrases people tend to use on mobiles. Mobile SEO is quite a booming business. Although, one of my pet peeves is the rate of uploading a site and the quality and access that some sites fails to capture fittingly with smartphones. Excellent Article Lee…Lots of great content. Mobile has open the door to marketing in a whole new way. I’m most excited about mobile advertising. Lee – Mobile SEO is a hot topic and for good reason. My question is, does Google rank mobile pages differently than standard web pages? In other words, do people who search http://www.google.com/m/ see different results than they would see if they searched on http://www.google.com/ and, if so, what are the factors that determine the different rankings? Is that the business you’re in? Text message marketing? hi friends this is Kate and i want to share my feeling. This post is very much informative in context. I like to admire the way you explain the topic about Best Mobile Phones.I have searched blog same this since long time.I purchage Mobile Phones from http://www.electronicbazaar.co.nz/ and that’s a nice deal. nice one seo is now heading to be trendy, its very informative site its nice to be here. Nice post to read.You have done a good work.